Get a Ventura County Traffic Ticket? You Can Beat It! Did You Get a Ticket in Ventura County, California? You can fight Ventura traffic tickets by getting them dismissed much easier than you may think. In Ventura, California, drivers are allowed to contest a traffic ticket using a Trial by Written Declaration. This is best way to fight a traffic ticket without going to an Ventura courthouse or hiring an expensive Ventura traffic ticket lawyer. We have found this to be the best way to contest a California traffic ticket, period. This option is available to every driver who receives a traffic ticket in Ventura, California. In fact, if you turn over your traffic ticket you will see that a Trial by Written Declaration is listed right on the back of your ticket as one way to fight it. This process has been around since 1978 to avoid having to pay traffic ticket fines. TicketBust has been helping California drivers prepare Trial by Written Declaration’s for over 15 years. In fact, tens of thousands of vehicle tickets in California have been contested using our system. We are the original traffic ticket fighter and the TicketBust system has been developed specifically to prepare all your documents properly based on how you answer a few questions. This way you can fight your ticket, knowing you have maximized your chances of having the court dismiss your Ventura County traffic ticket. When you contest a ticket using a Trial by Written Declaration not only don’t you need to go to court, but you don’t even need to take traffic school if the ticket is dismissed. If the ticket is dismissed, no point will appear on your driving record and the bail will be refunded to you in full. If the ticket is not dismissed and you are eligible for traffic school, then you should still be eligible after a Trial by Written Declaration. TicketBust service will prepare your full defense package for you, which includes your Trial by Written Declaration and all the defense documents required by Ventura traffic court. Fill out the yellow form to fight your Ventura traffic ticket now! California Violation Code 22406 – Exceeding 55 mph commercial truck driver speed or speed while towing. You may be surprised to know that commercial truck drivers include a much larger group than just “big rigs”. The list includes: a motortruck or truck tractor with 3+ axles or that is towing another vehicle, a passenger vehicle, school bus, farm labor vehicle with passengers, any vehicle transporting explosives, or a trailer bus. California Violation Code 21453(a) – Passing limit line on red light. Did you know that you aren’t allowed to pass the white limit line when you are stopped at an intersection? From our experience, this can be a common ticket issued in the county of Ventura, so be on the lookout and stay behind that solid white line. California Violation Code 21655.5 – Driving solo in a carpool lane. It’s likely no surprise that if you are in a HOV lane that requires 2 or more people in it, by yourself, you’re going to get a ticket. That’s pretty self-explanatory. If you find yourself having received a traffic ticket in Ventura, give us a call or fill out our form to see how we can help! Ventura County was originally inhabited by the Chumash people. In October of 1542, an expedition lead by Juan Rodriguez Cabrillo anchored in an inlet near Point Mugu and explored the area that would become Ventura County. Over 200 years later, in March of 1782, the Mission San Buenaventura was founded by Father Junipero Serra. Yet, the area remains largely unchanged through the Mexican-American War and when California was formally transferred to the United States in 1848. 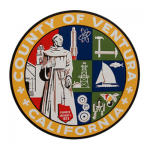 Created from a part of Santa Barbara County, Ventura County was formed in 1873. Devastation struck Ventura County in early March of 1928 when the St. Francis Dam collapsed, sending 12.5 billion gallons of water through the Santa Clarita Valley, killing as many as 600 people, destroying over 1200 homes and flooding nearly 8,000 acres of land. The collapse of the St. Francis Dam is the second-greatest disaster in California history in terms of loss of life, the first being the San Francisco earthquake and fire of 1906. The county has a total area of 2,208 square miles, 365 square miles of which are water. Most of Ventura County’s 854,200 people live in the southern portion of the county in the cities of Oxnard, Thousand Oaks, Simi Valley, Ventura (San Buenaventura), and Camarillo. According to the USDA Economic Research Service, Ventura County is one of the most desirable counties to live in within the 48 contiguous states, using six metrics of climate, topographic variation, and access to water as some of the variables. Several of the communities in Ventura County are also deemed to be some of the safest communities in the U.S., including Thousand Oaks, Simi Valley, Newbury Park, and Moorpark. Crime in Ventura County is 33% lower than the rest of California.